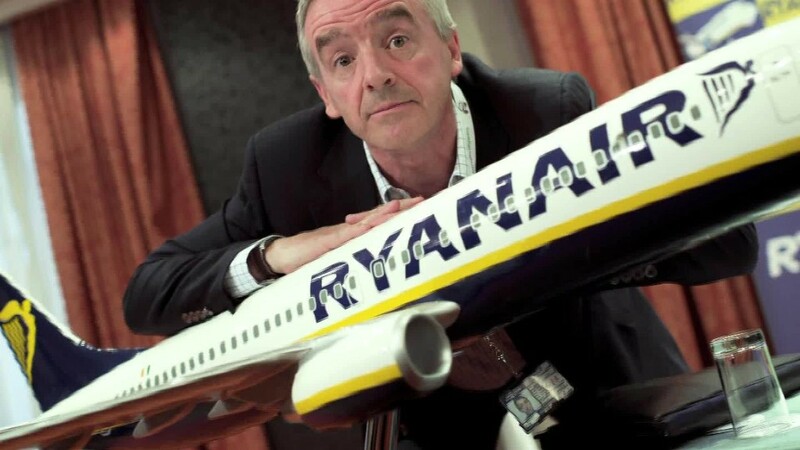 Ryanair is throwing cash at its problems. The budget airline said Thursday that it would offer a €10,000 ($12,000) annual raise to pilots that are willing to keep flying and help it ease a major staffing crunch. Michael O'Leary, chief executive of the Irish carrier, announced the bonus plan at the company's annual meeting in Dublin. Pilots based in London, Dublin, Frankfurt and Berlin have already been offered a €12,000 ($14,300) cash bonus in return for working an additional 10 days. O'Leary, an outspoken executive with a reputation for frank talk, said that similar offers could be made at other airports. Ryanair (RYAAY) announced last week that it would cancel 40 to 50 flights a day up until the end of October because a scheduling snafu had resulted in too many pilots being on vacation at the same time. The airline has offered 315,000 customers alternative flights or a refund. It said Thursday that over 95% of passengers will have taken one of the options by the end of the week. "This is a mess of our own making," O'Leary said earlier this week. "I apologize sincerely to all our customers for any worry or concern this has caused them." There are now rumblings that Ryanair pilots could use the crisis to press management for improved pay and job security. "It is truly surprising that a company so focused on optimizing operations could be caught out like this," said Loizos Heracleous, a professor at Warwick Business School. "This incident has mushroomed into a bigger problem for Ryanair, opening the door for employees to fight for a better deal," said Heracleous.